Prepare delicious recipes sweet and savory, with this set of 4 original cutters: Platinum silicone. With ScrapCooking, cook in a fun and healthy way! ScrapCooking is a French brand, launched in January 2006. ScrapCooking designs, creates, packages its products in Touraine. 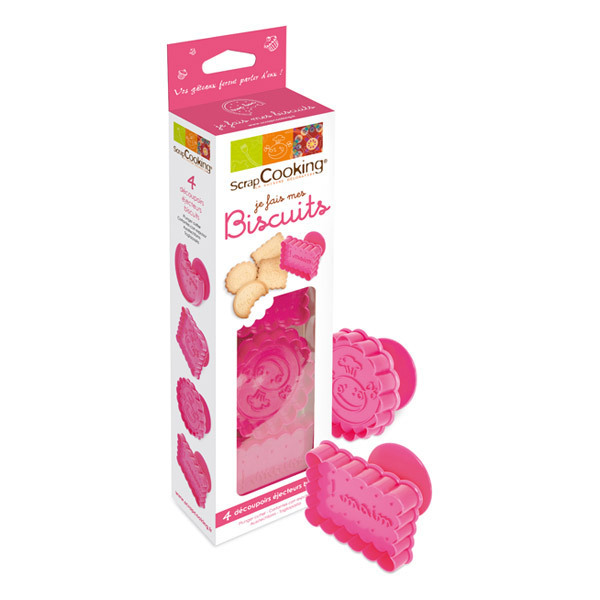 The ScrapCooking products are BPA-free and phthalate-free platinum silicone. Decorate a birthday cake, make your own chocolates, make your own printed biscuits, prepare something truly amazing at home or for the school party... thanks to ScrapCooking®, this is child's play! ScrapCooking specializes in healthy creative cuisine, to help you embellish your desserts and your dishes.